Yet far too many business models and hiring practices continue to segment and marginalize internal stakeholders into revenue generators or order-takers. Knowledge workers or manual workers. Technically- and engineering-focused or business-focused. While perpetuating those models and that mindset is a convenient way to organize people, it is an anachronism. A vestige of mass-production mindset, where employees are cogs in a wheel rather than a vibrant and dynamic part of business growth and customer success. A potent client retention strategy flattens the concept of customer acquisition and retention. Consider that in today’s digitally-connected workplace, machines and software interfaces collaborate seamlessly across organizational borders. Yet, these systems are not quite human. However, your employee stakeholders certainly are. Why not give them the latitude to collaborate seamlessly across the organization? Isn’t it about time to poke holes in those borders? A potent human capital strategy incorporates stakeholders into an organizational whole, rather than procures them to fit into specific functions. Regardless of the size of your organization or association, a potent human capital strategy underpins growth, expansion and sustainability. Consider what happens when the definition of “talent” includes all stakeholders and not just knowledge workers. Thus, you create a strong foundation for client retention. Because you give all employee stakeholders an opportunity to learn how to collaboratively serve each other and your clients. While they concurrently are permitted to develop previously unexplored skillsets. Who wouldn’t want to work for your organization, with that type of human capital charter? Consider what you CAN do. Instead of limiting yourselves by what you CAN NOT do. One of the most potent stories I tell in my One Millimeter Mindset™ workshops and keynotes concerns the profitability resulting from moving past limitations imposed by organizational naysayers. Together. A potent client retention strategy becomes translational and transformational. Not just transactional and compensation-focused, after all is said and done. 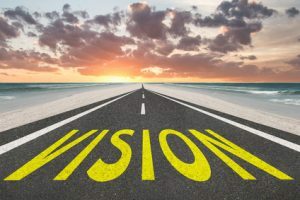 To achieve a client- and stakeholder-focused outcome that is bigger than oneself, revisit whether your business models and hiring strategies are a vestige of the past, rather than a reflection of the future. Because the future is where your competitors – and future clients – are heading. Letting organizational naysayers get the best of you? Book a 45-minute strategy session with me. Gain clarity, focus and tactics to better serve yourself, so you can better serve stakeholders and customers. Subscribe to my blog. Never miss another insightful post. Share your email address in the red box along the top right column of this blog. Babette Ten Haken delivers her One Millimeter Mindset™ speaking programs and workshops to organizations and associations, like yours, who want to leverage collaborative business models and a profitable workforce to retain the employees, customers and members you work so hard to win. Her playbook of collaboration hacks, Do YOU Mean Business? is available on Amazon.com. Babette’s speaker profile is on the espeakers platform. ©2019 One Millimeter Mindset™ / Sales Aerobics for Engineers®, Ann Arbor MI. I appreciate it when you share the link to this post on social streams. To re-post or republish the content of this post, email babette@salesaerobicsforengineers.com for permission and guidelines. Thank you for respecting my intellectual capital.